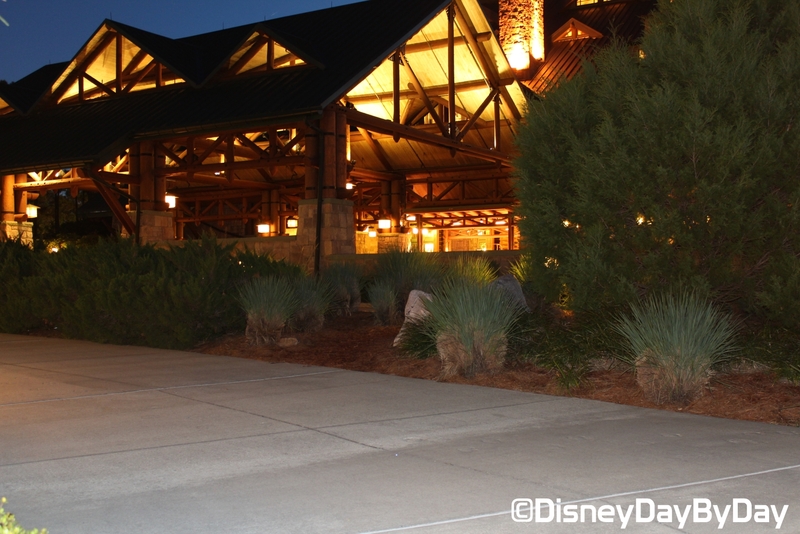 If you’ve never made it out to Yellowstone, don’t worry…. 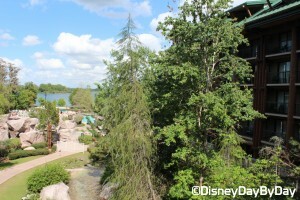 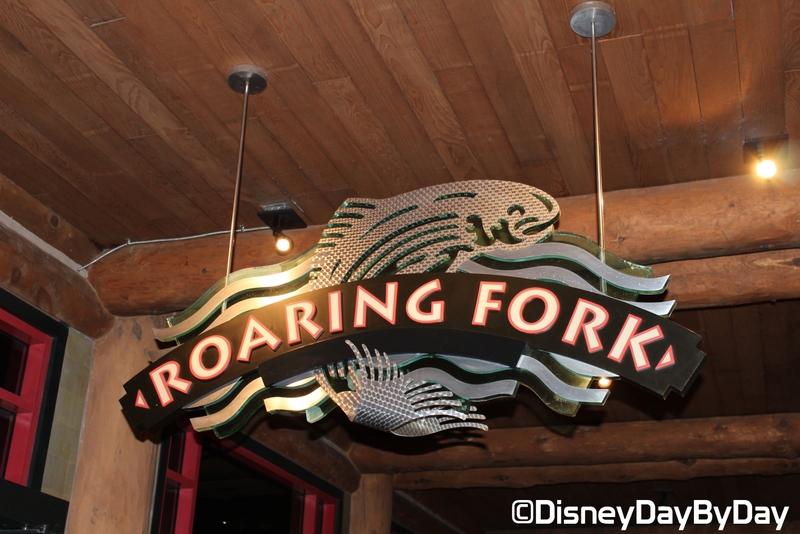 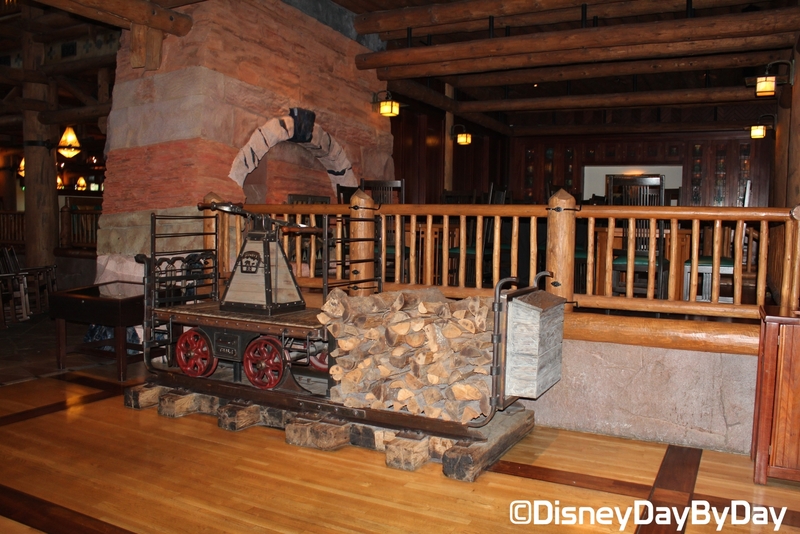 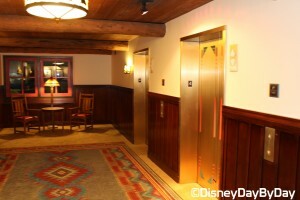 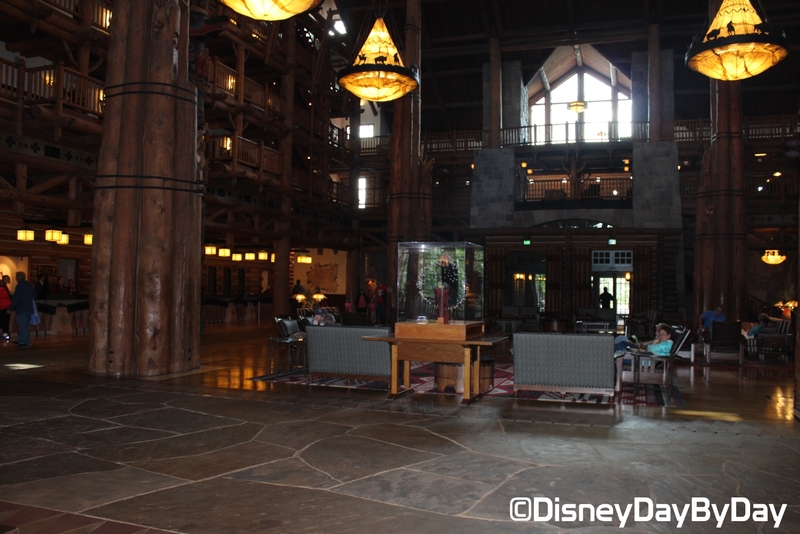 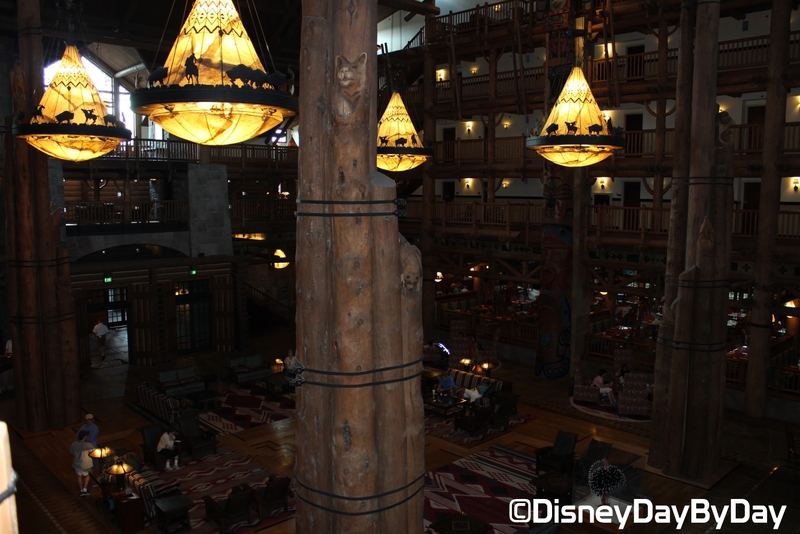 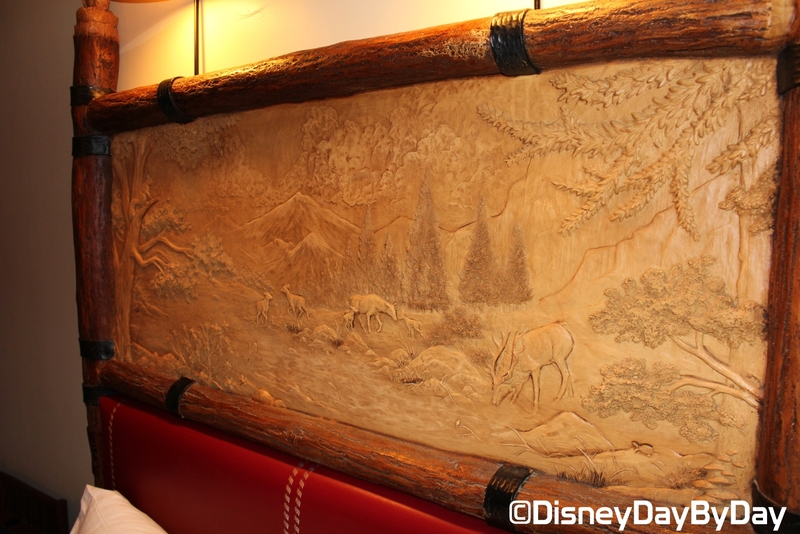 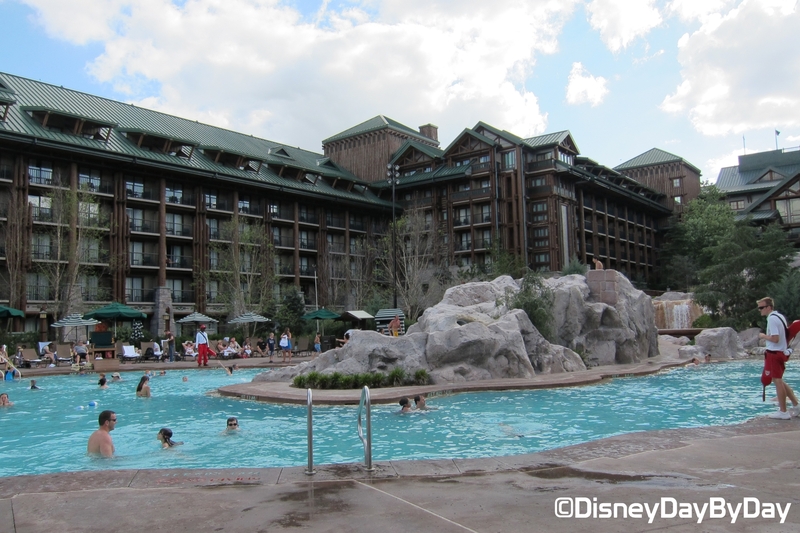 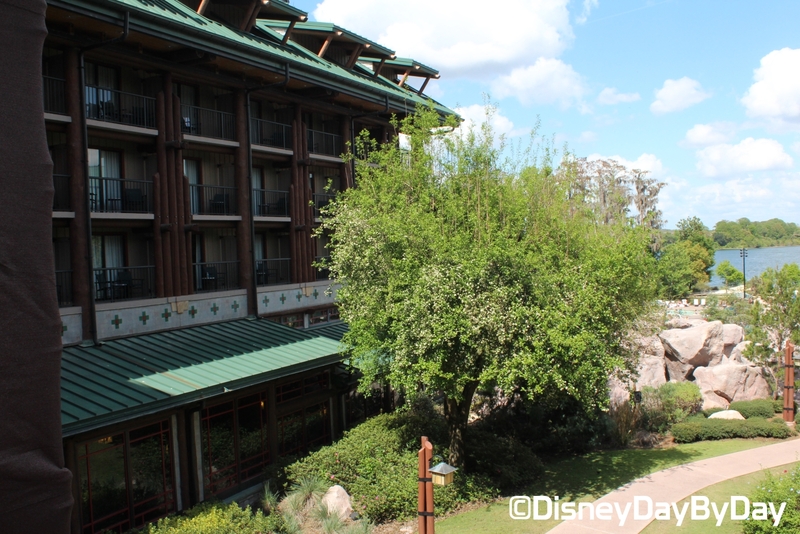 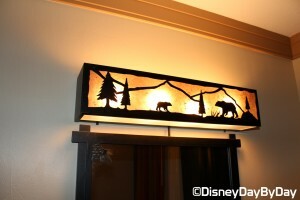 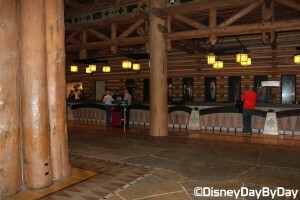 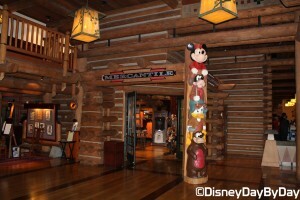 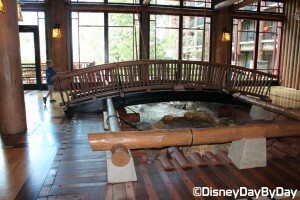 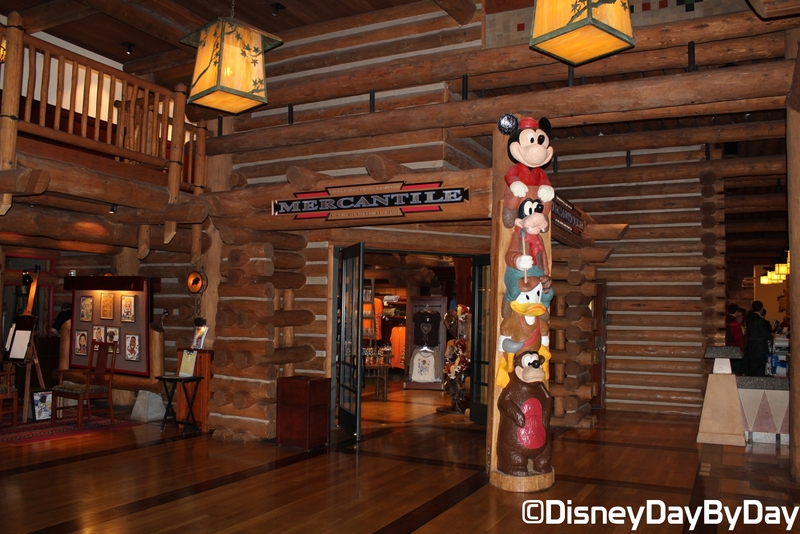 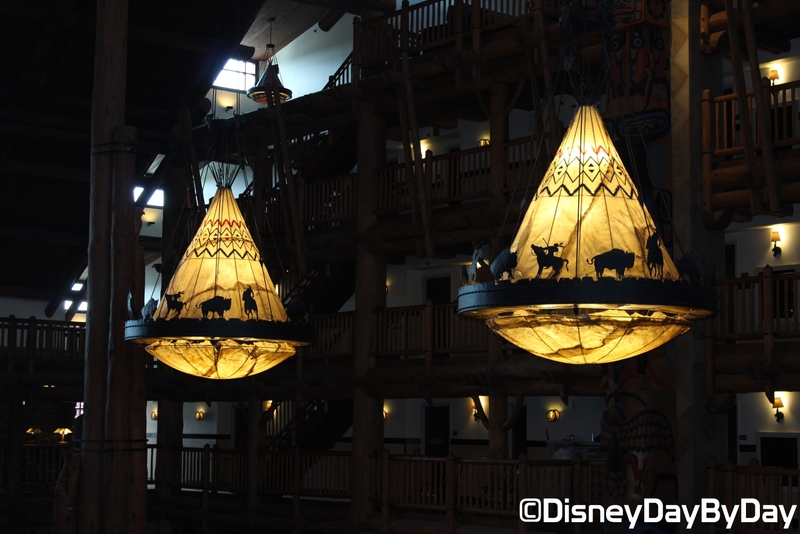 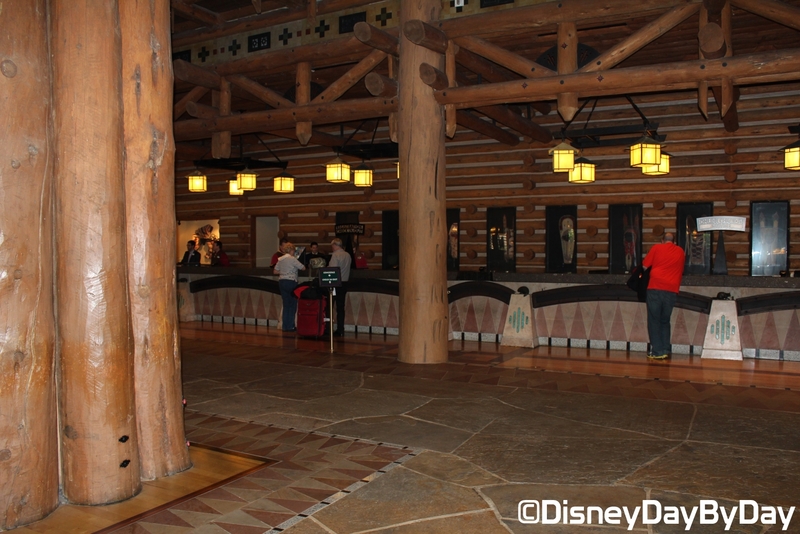 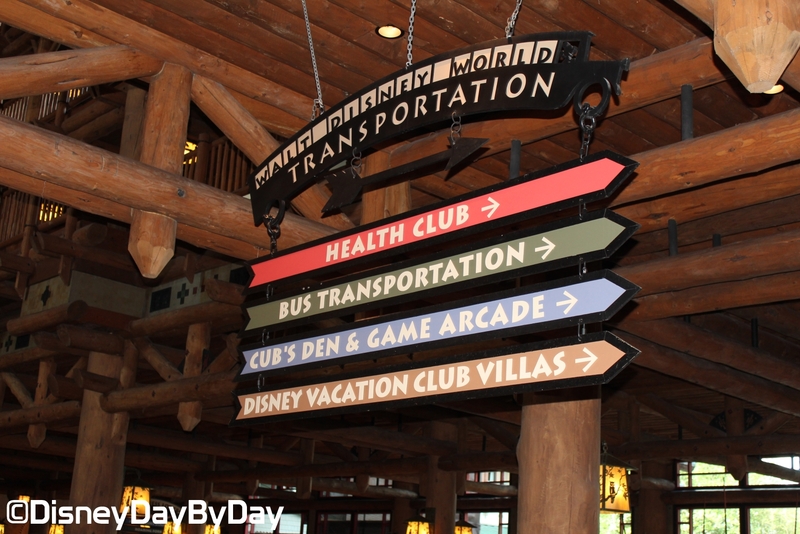 you can experience the grandeur of America’s National Parks at Disney’s Wilderness Lodge. 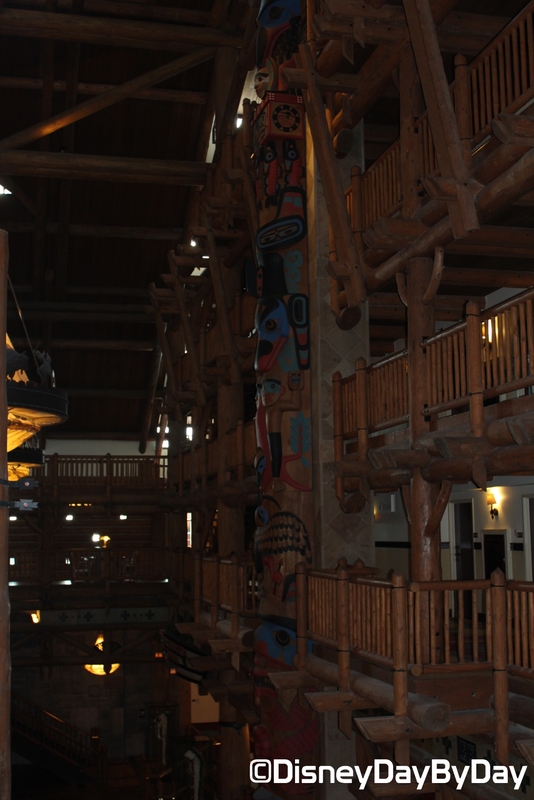 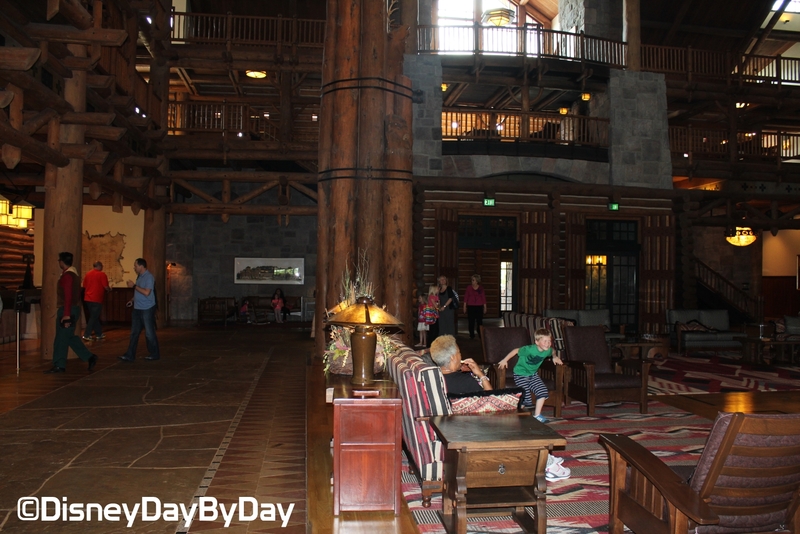 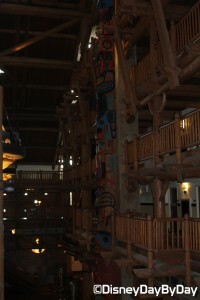 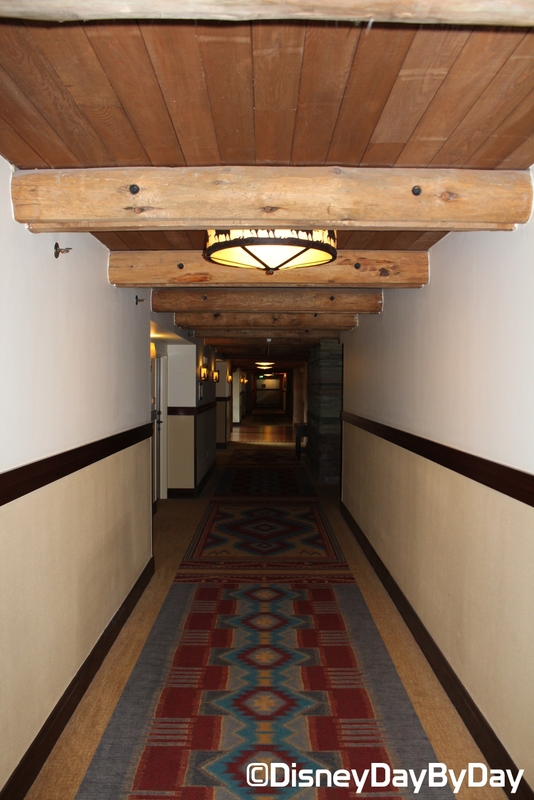 The main building features natural and Native American elements, and was modeled after the Old Faithful Inn in Yellowstone making you truly feel as if you’re surrounded by nature. 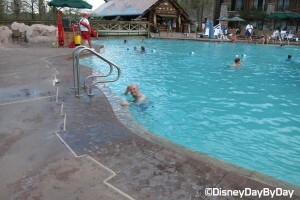 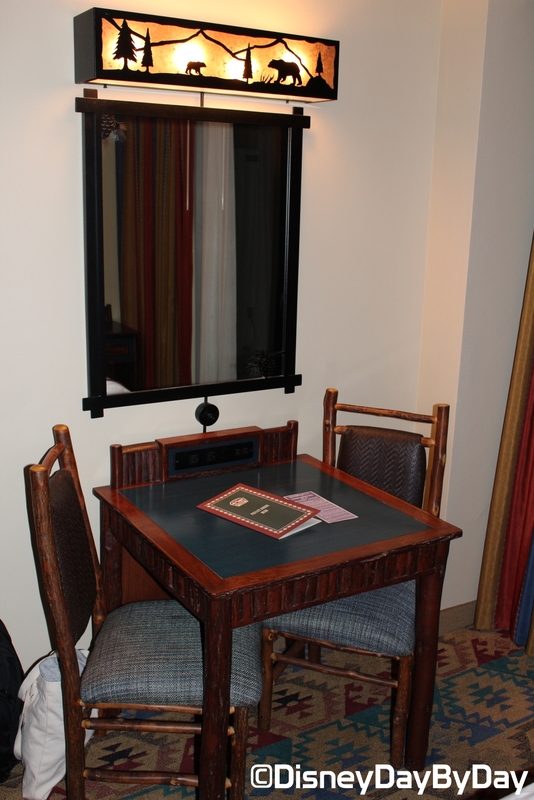 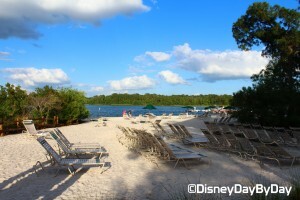 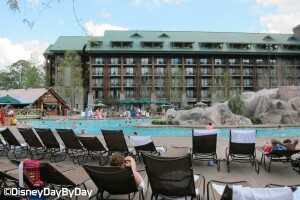 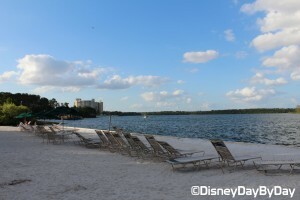 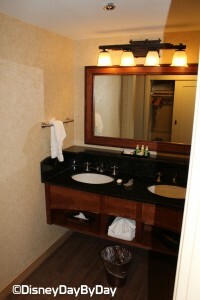 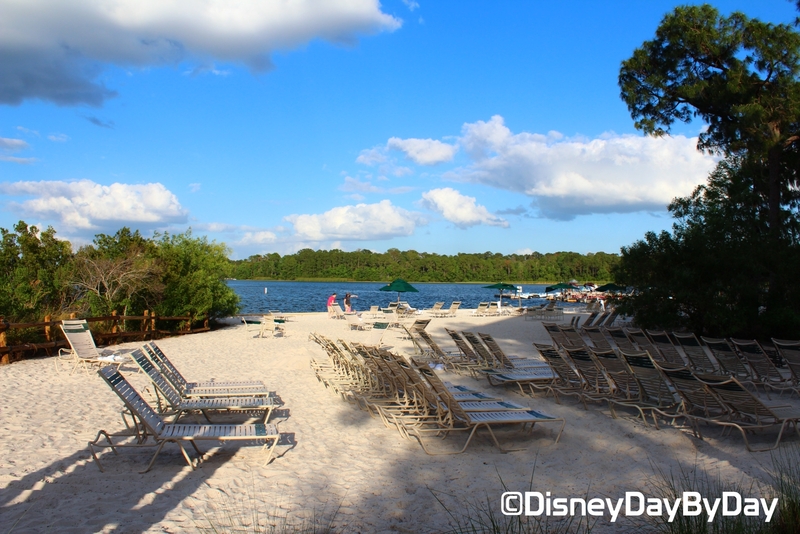 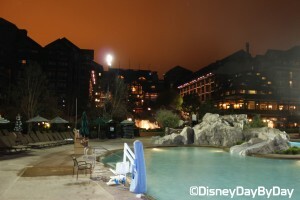 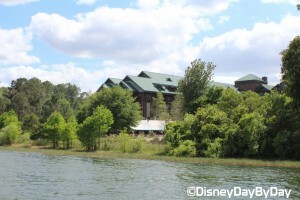 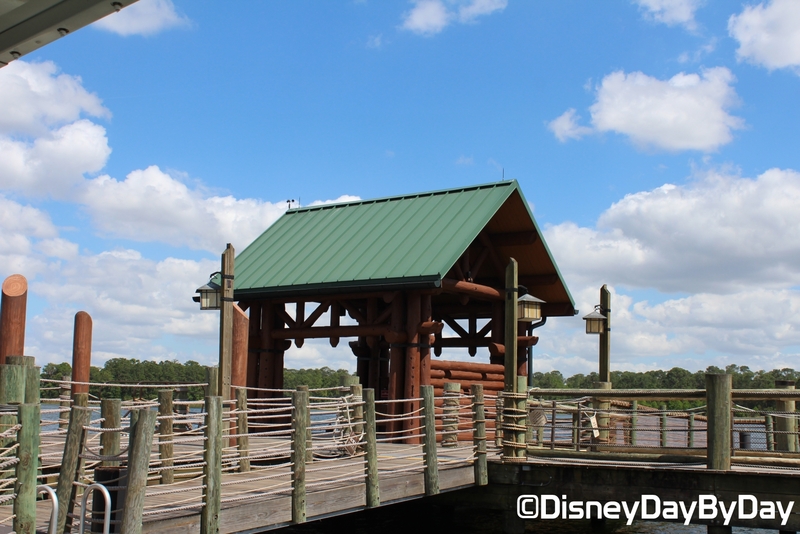 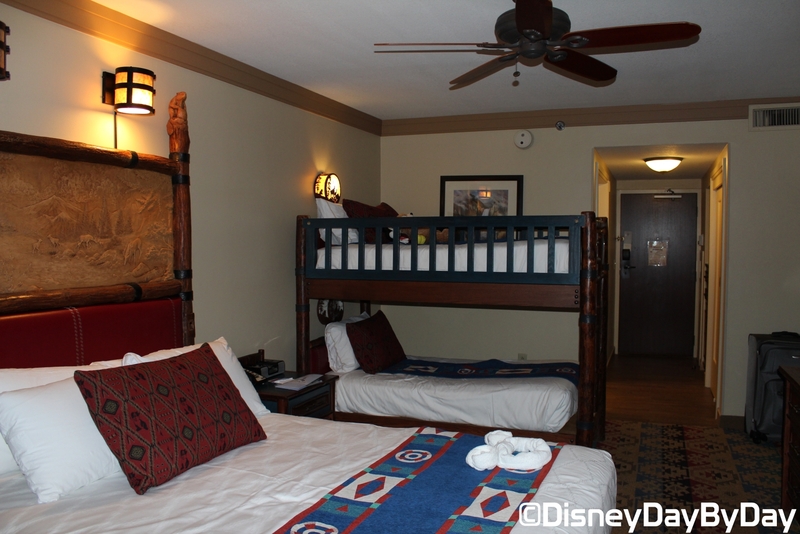 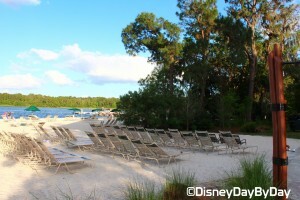 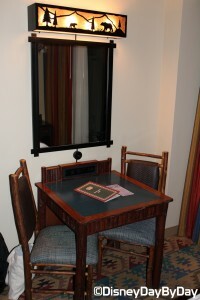 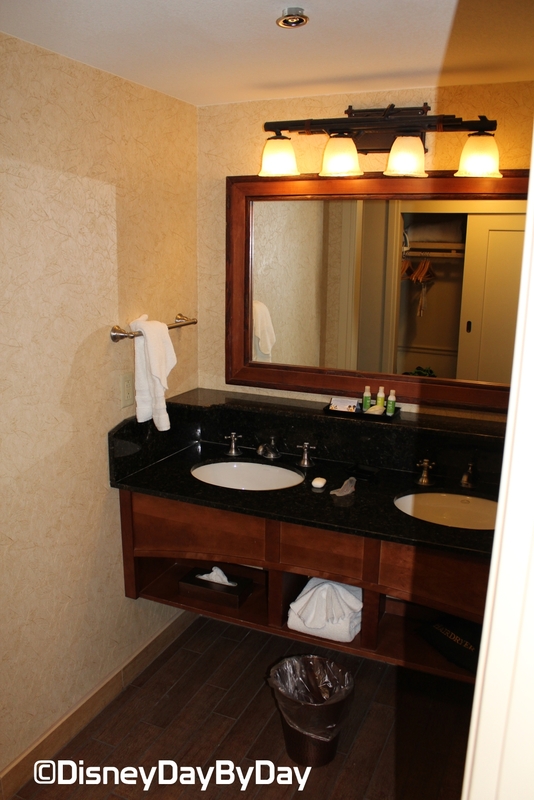 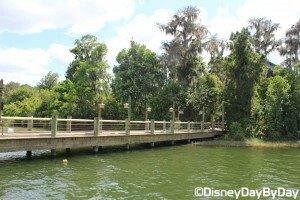 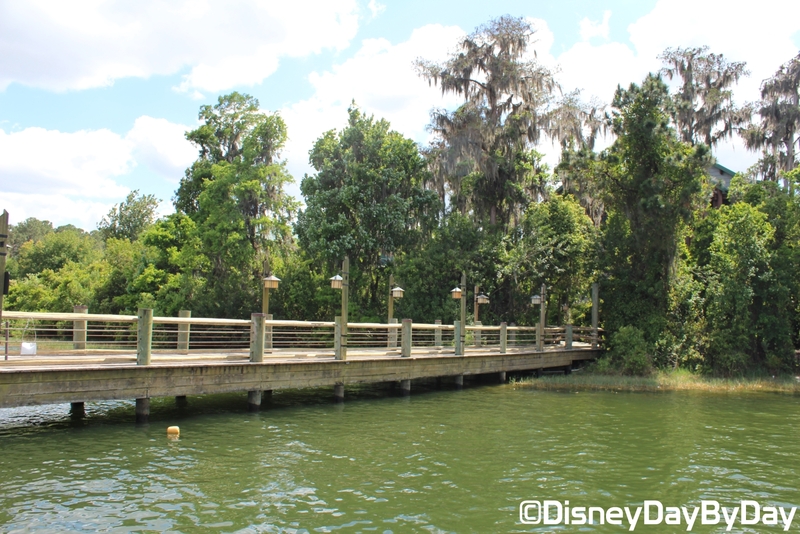 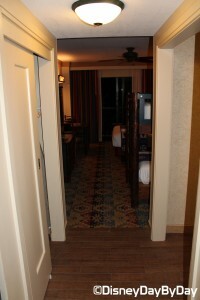 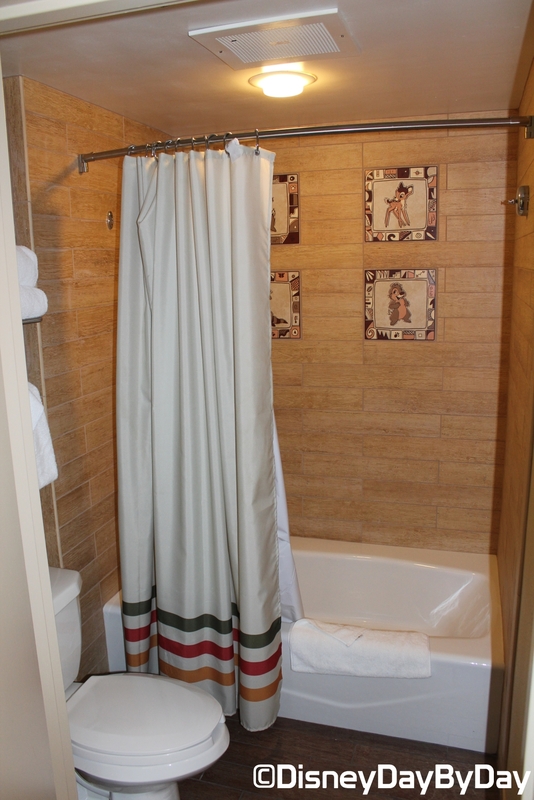 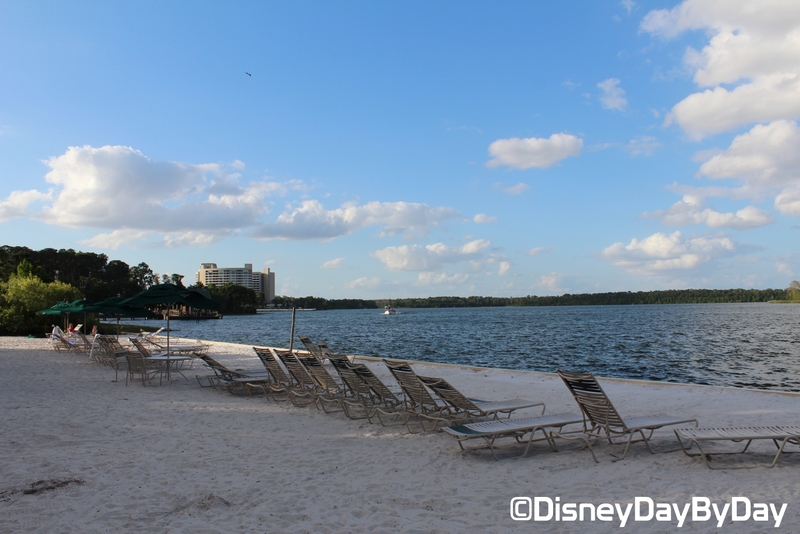 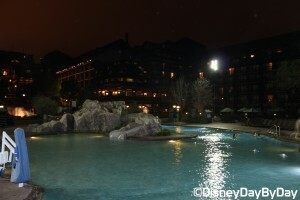 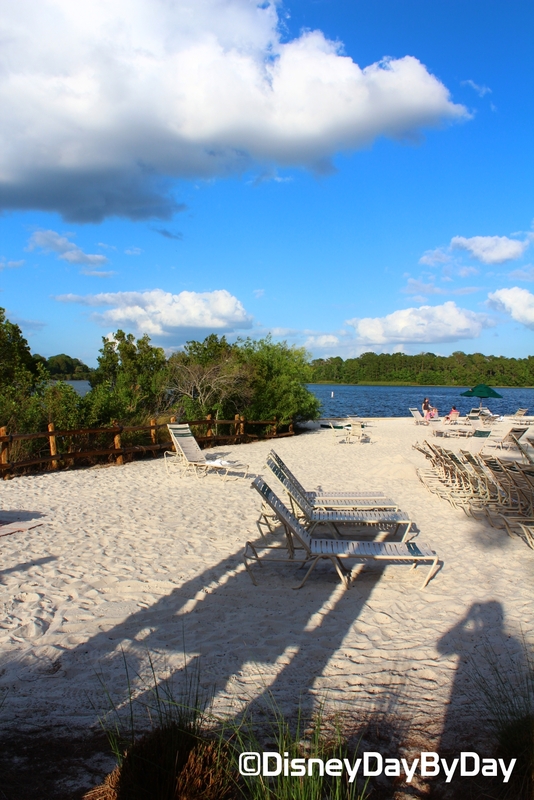 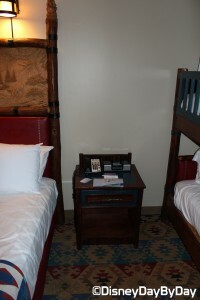 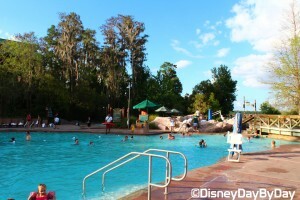 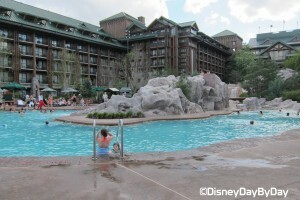 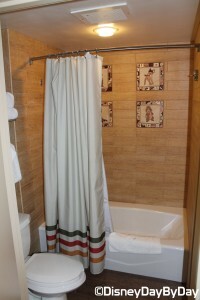 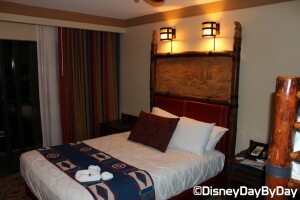 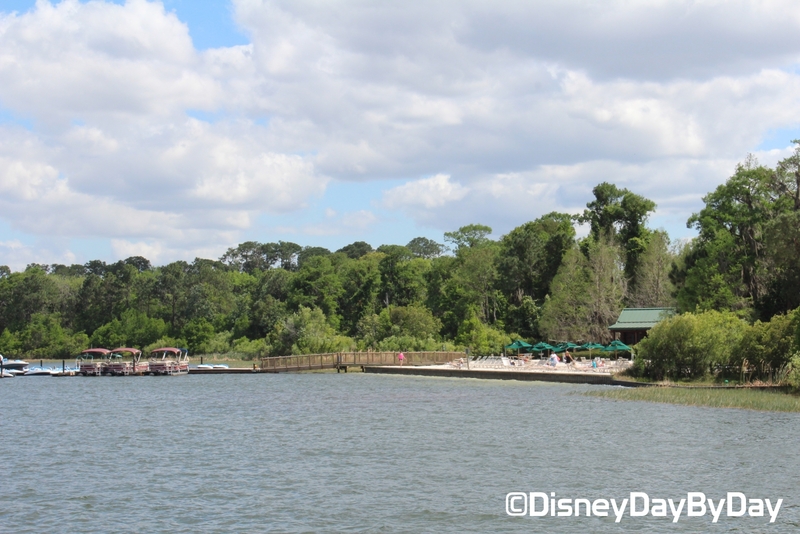 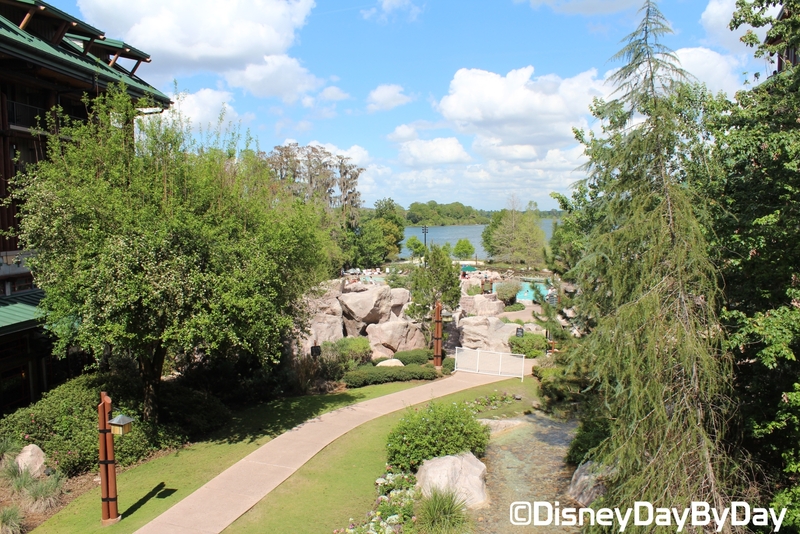 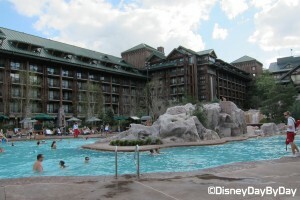 The resort is located on Bay Lake, so the Magic Kingdom is just a short boat ride away. 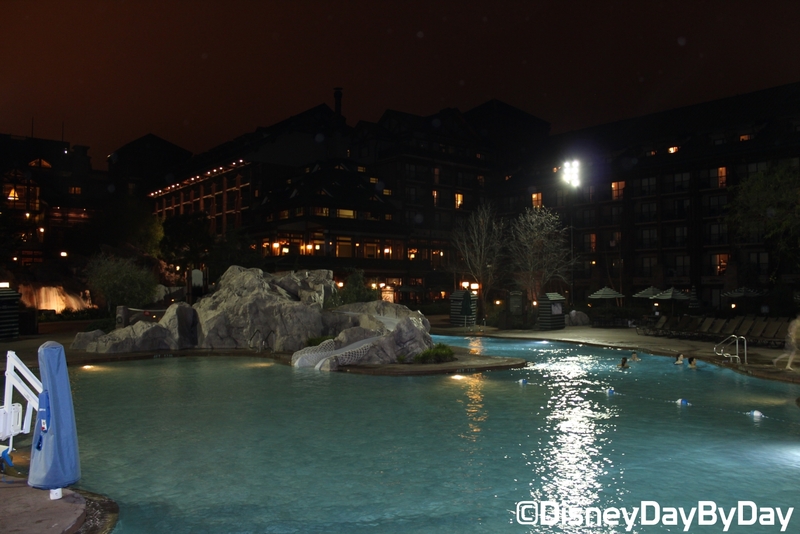 Although you can’t see the fireworks from here, you do get to experience the water parade! 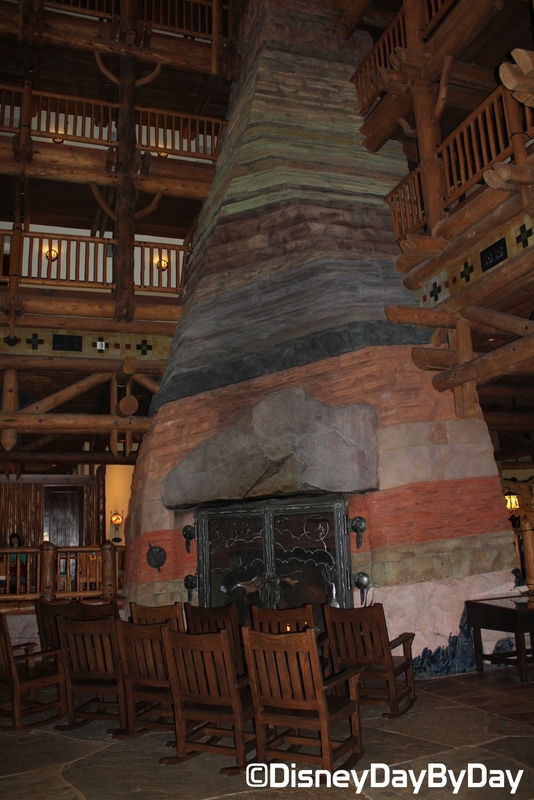 As you take in the lodge, be sure to spend some time in front of the massive 82 foot tall fireplace; the rocking chairs are a great place to relax. 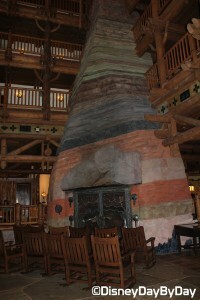 The fireplace mimics the layers of rock that make up the Grand Canyon, representing 2,000 billion years of geologic history including natural disconformities. 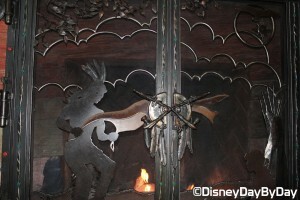 The Imagineers had to use over 95 different colors to get the representation correct and they even threw in a few surprises. 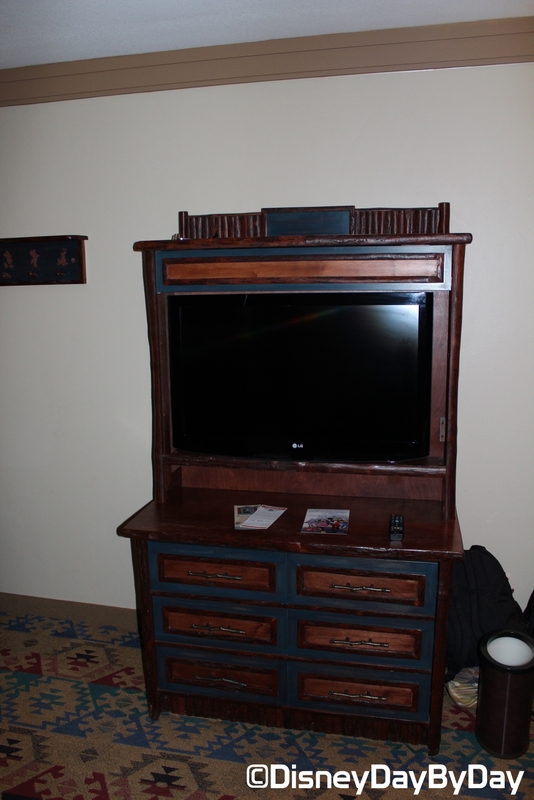 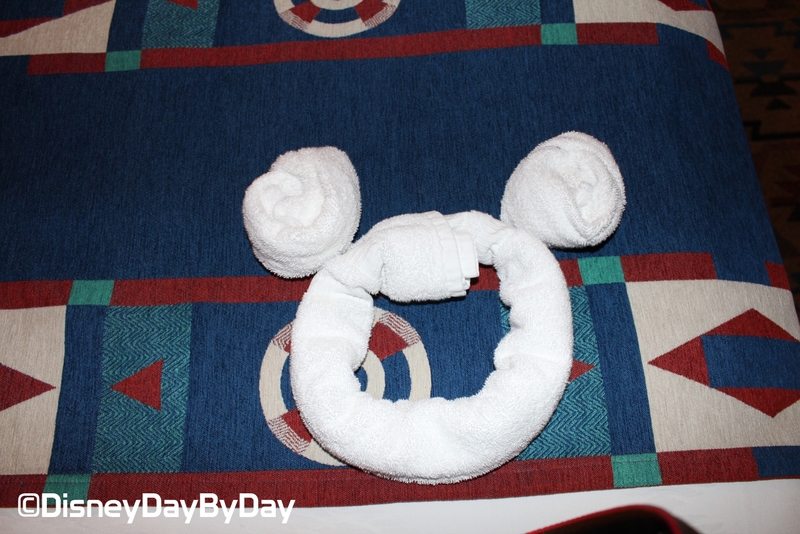 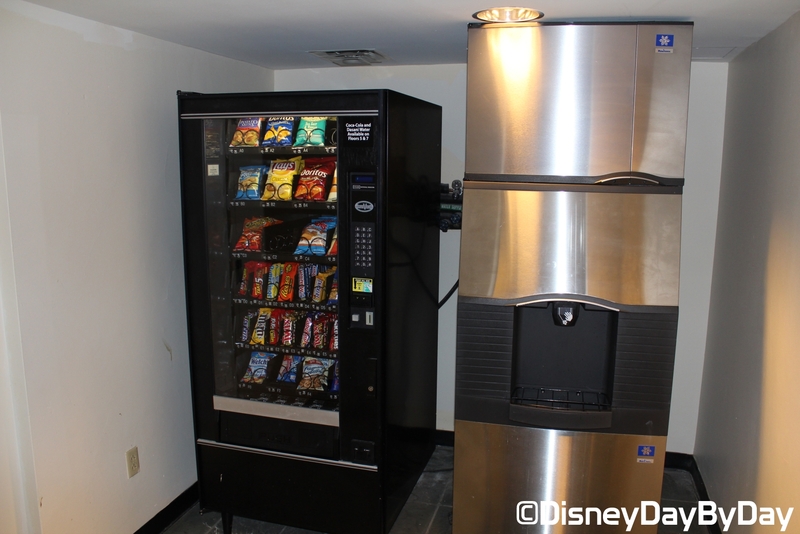 Did you spot the Hidden Mickey? 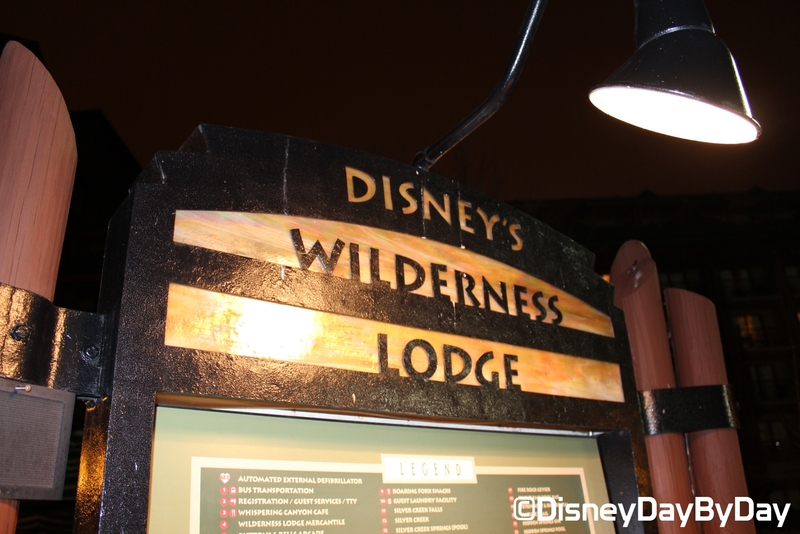 The wilderness theme doesn’t end with the buildings. 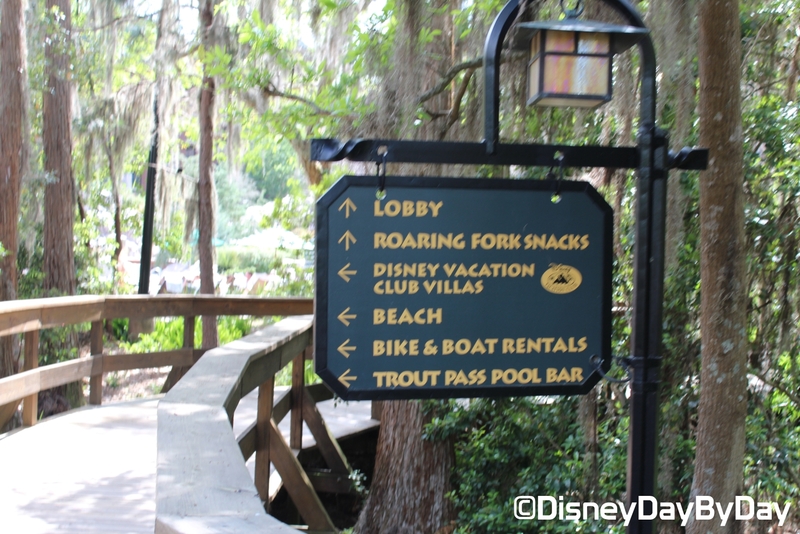 Head outside to the recreational areas and you’ll truly feel as if you’re hiking through a national park. 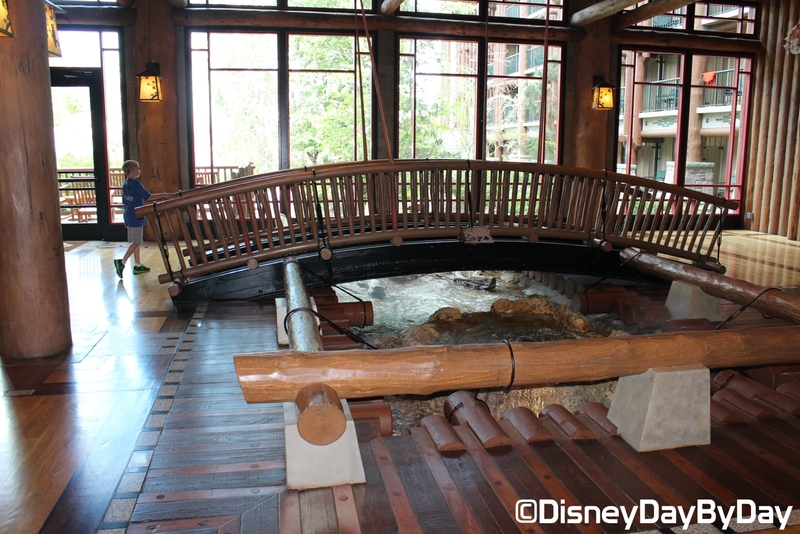 Here you will be able to watch a 120 foot artificial geyser that goes off every hour from 7am to 10pm. 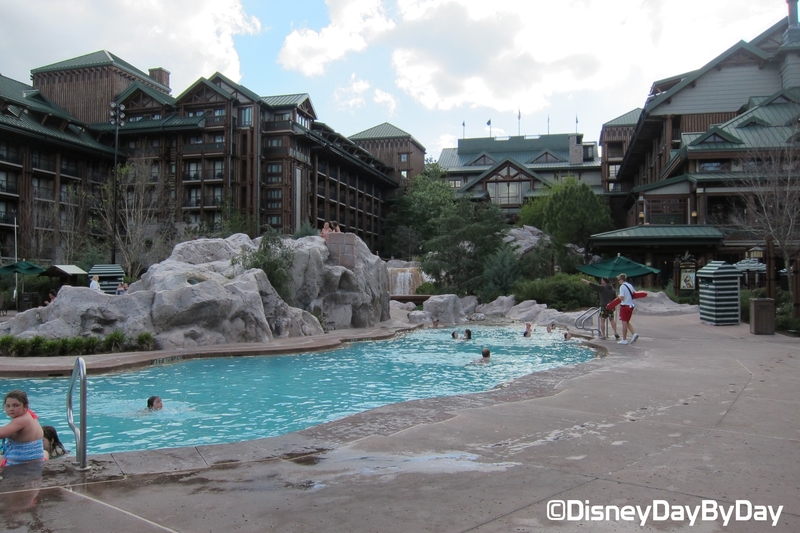 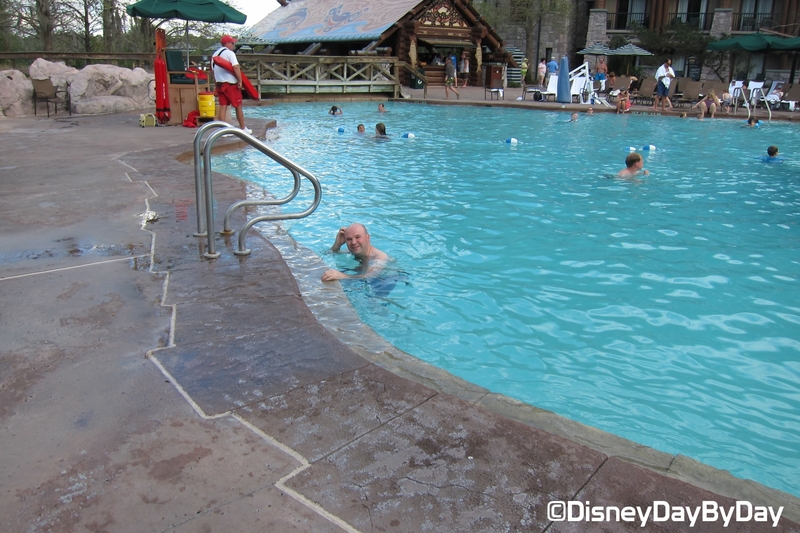 Although there is only one pool, because it’s large and contains a slide you won’t feel as if you’re missing out. 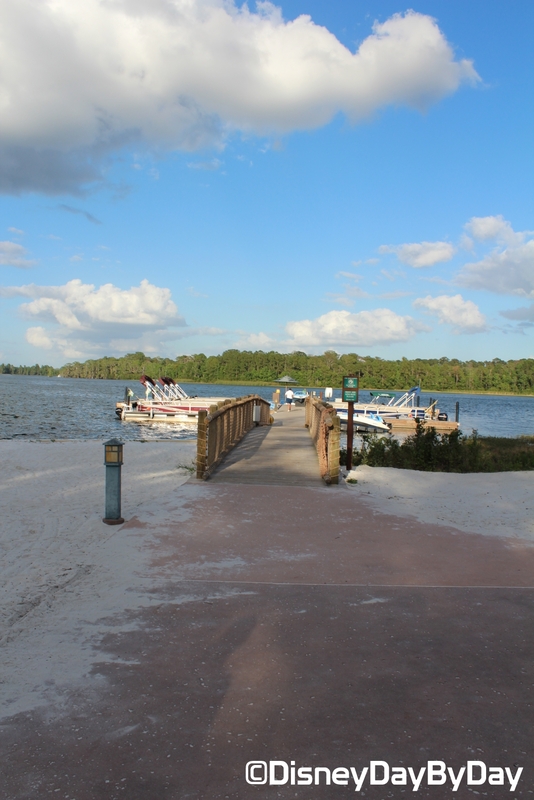 If you’re not interested in swimming, then head over to Teton’s Boat and Bike where you can rent boats for Bay Lake, and bikes to use on the trails surrounding the resort. 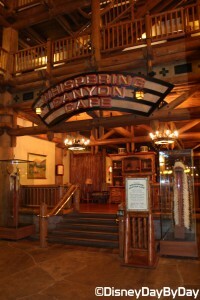 Artists Point – This is a quick service restaurant featuring meals from the American Northwest, such as cedar plank salmon and grilled buffalo. 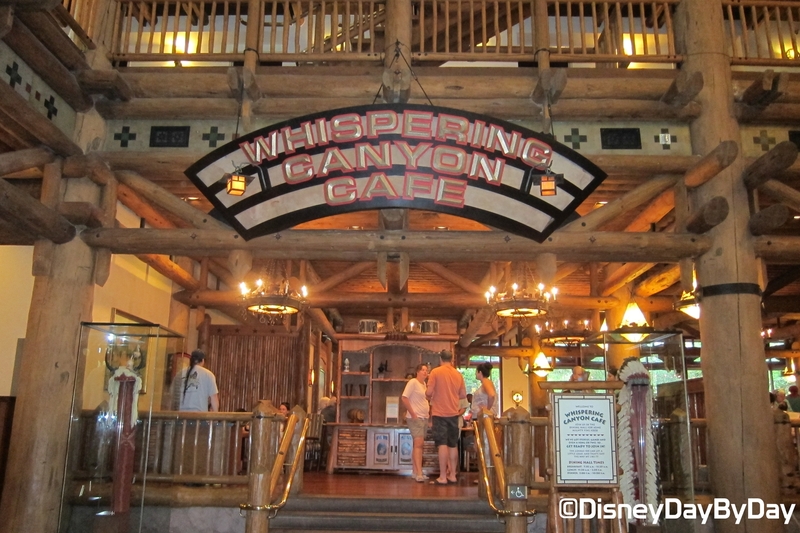 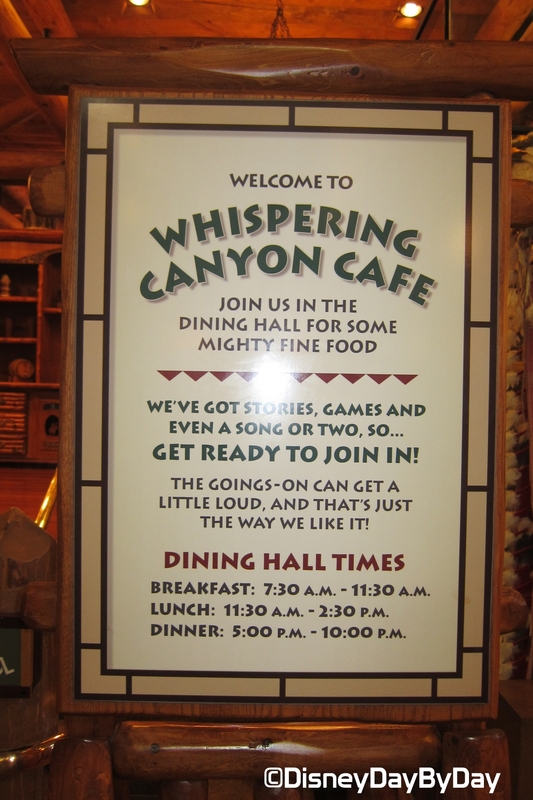 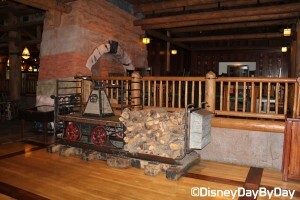 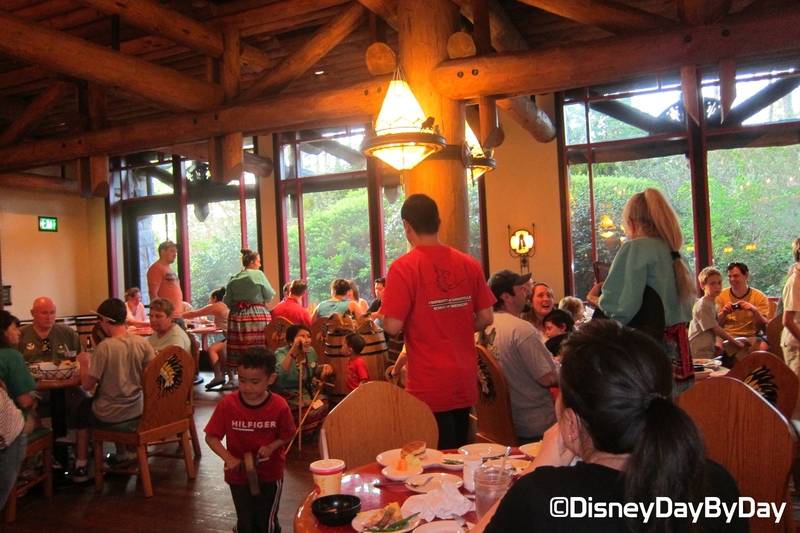 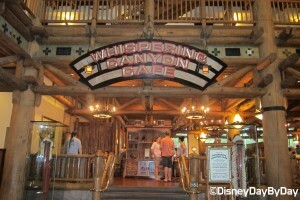 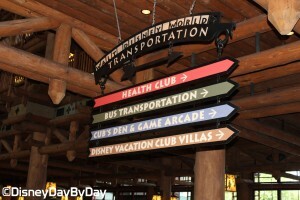 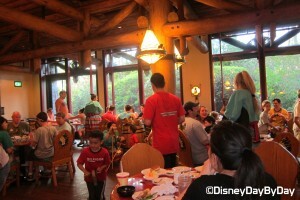 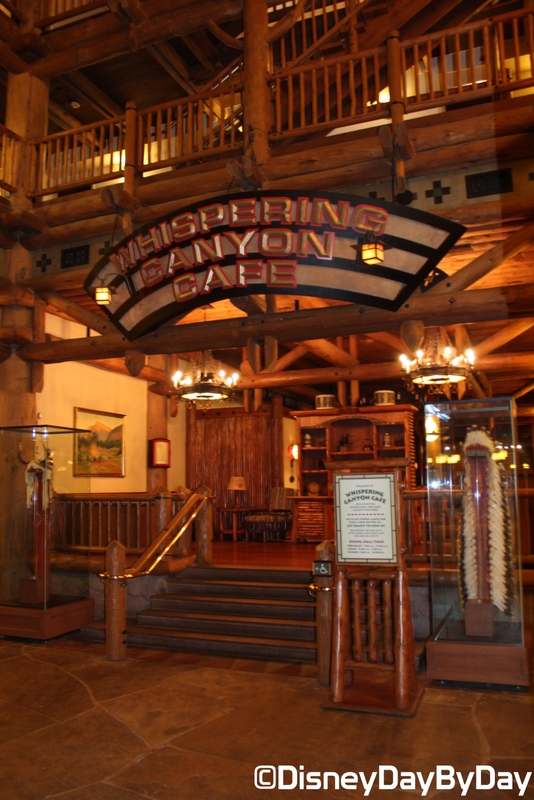 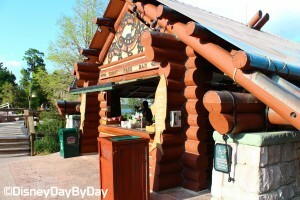 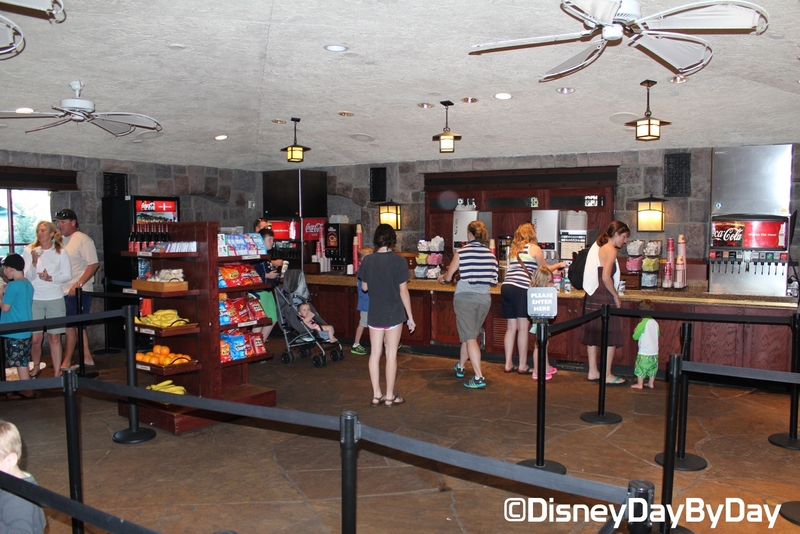 Whispering Canyon Café – An all you can eat family style restaurant where the staff is boisterous and fun. 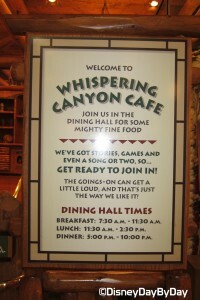 Be sure to ask for ketchup and drink refills; you may get a little more than you asked for. 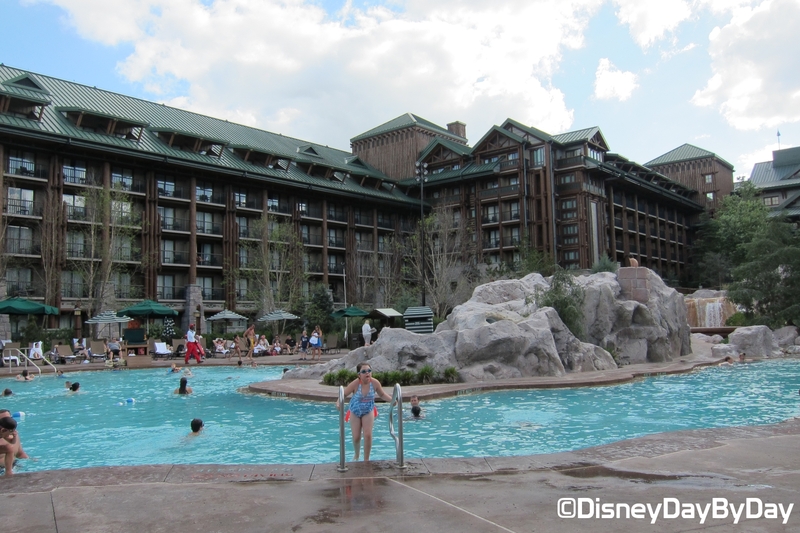 Because of its location away from everything else, the forests that surround the resort, and the massive stone fireplace, this is truly one of Disney’s most relaxing resorts. 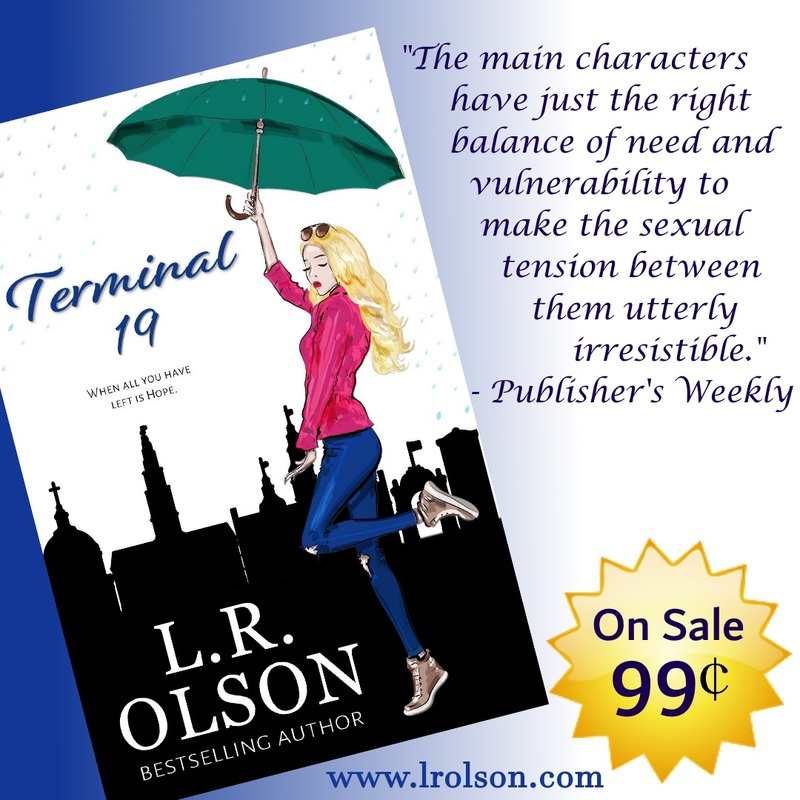 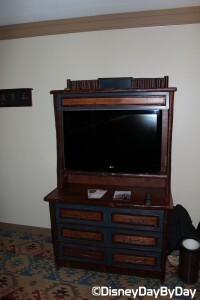 * Too tough for the resort lifestyle? 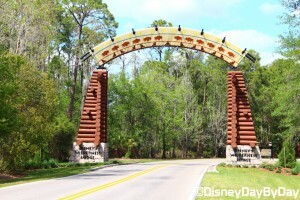 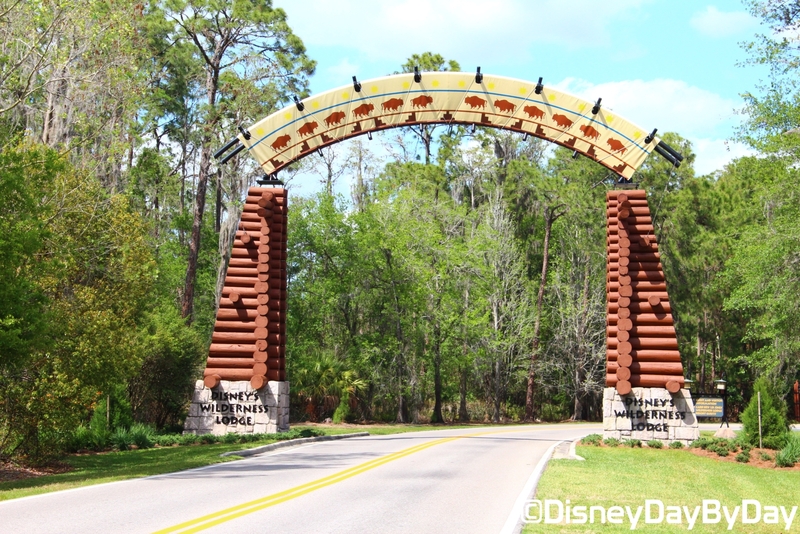 Did you know that right next to the Fort Wilderness Lodge Disney has a massive camping ground where you can bring your tent or camper?